Makeup and beauty !!! 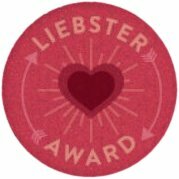 : Another Liebster Award ! 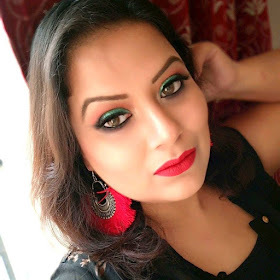 I guess there is showering of liebester awards upon me ,as it is my 5th award .this time it is my blogger friend Supriya who gave me this award ! In this world i love most my Son. My hubby is my best friend. I came to this world ogf blogging just 3 months ago. I love to browse internet,giveaways,games. I am addicted to lipsticks. I am poor in NOTD . I am a great foodie. Now I have to answer the tagger's question! So here it goes. Hahahaha....good question...every blog that encourage me to buy more and more makeups. In kolkata winter is just like Summer...! This question is not for mine....i always like to wear something in brown or pink or mauve shade ! 11. Best quality about you. I am caring and can be a good listener ! and my questions are same as Supriya ask me as i just love to answer her questions and want others to answer the same !!! Congrats swthrt...U deserve evry bit of it....keep up the good wrk n keep rocking!!!!! thanks ruby ! u r such a swthrt ! congrats and thank you so much dear to pass on the award! u welcome Amee ! :) u deserve it !! !